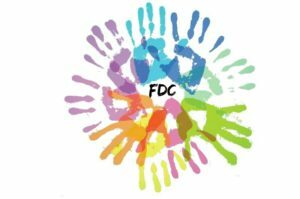 Frankland Day Care runs a Weekly Summer Program that is open to the entire community! Your child(ren) can attend our program on a weekly basis, or for the entire summer, even if they are not registered during the school year! Our hours of operation are 7:30am through 6:00 pm! Frankland Day Care offers an optional catered lunch (M. Halpert Catering) in all programs for the summer months! We provide a morning and afternoon snack for all children. Each week staff plan “pool trips”. Withrow wading pool for the younger children and full size pools for the older children (Riverdale pool). We end each summer with a fun filled “Carnival Day” with games and a huge inflatable obstacle course! All these great trips to accent our incredible on-site program! ** In order to secure your space in Frankland Day Care – Please be sure to include post dated cheques/ payment with your registration.